Mmmm! 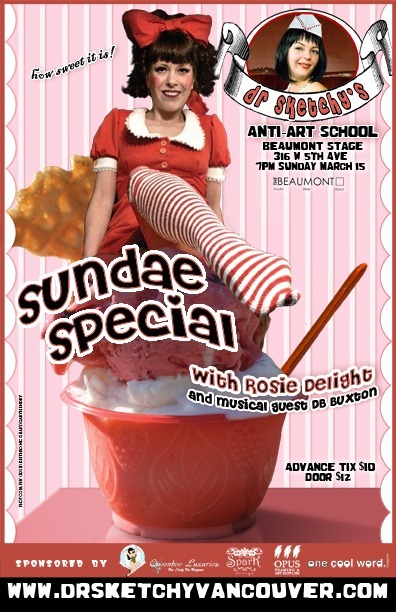 Join us for a Sundae Special with Rosie Delight! We're in for a sweet time- with DB Buxton performing and Rosie posing, you'll be wanting a double scoop, with sprinkles on top. Posted in 2009 and tagged with Rosie Delight. March 15, 2009 by Shary Contrary.